I got a great response last time I wore this skirt but this time I wanted to make it more casual. It’s really a very versatile skirt now that I’ve started playing with it a little more! 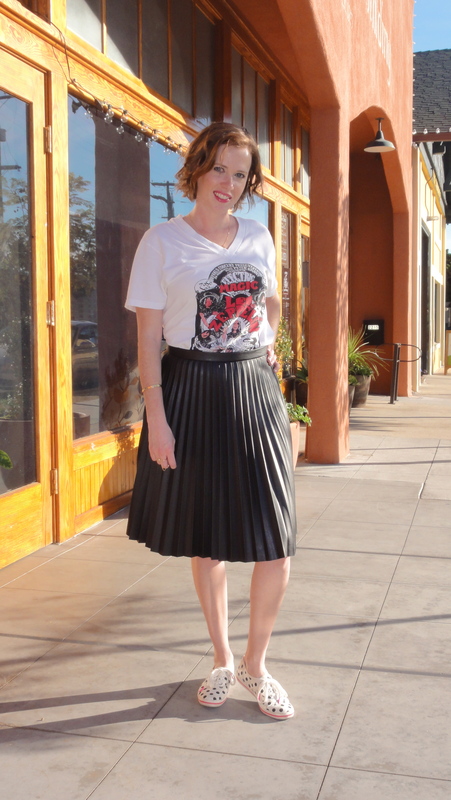 To sort of tone down the fanciness of the previous look, I wore a super comfortable vintage Led Zeppelin concert tee and my favorite polka dot Kate Spade for Keds pumps. I kept the jewelry a little bit more simple by just using delicate gold pieces. The skirt is kind of loud on it’s on so it doesn’t really require much in the way of accessorizing. The Stella and Bow Mean Girls collection makes me giggle inside every time I look at it. 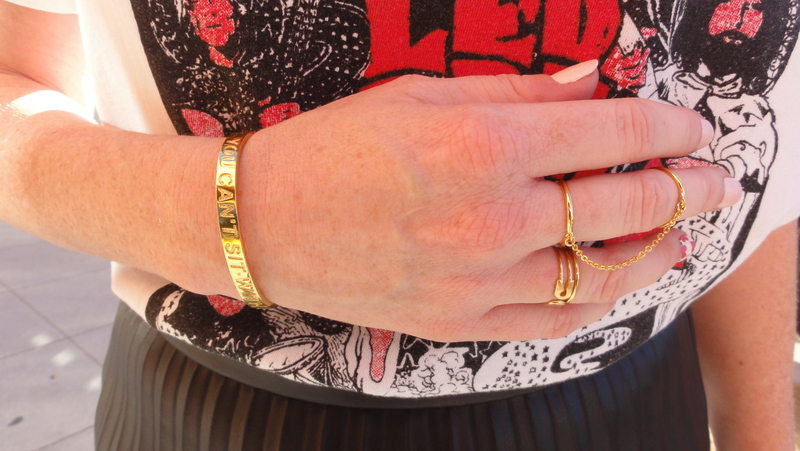 And this bracelet is actually small enough for my super tiny wrists! Double score! Super cute look!! 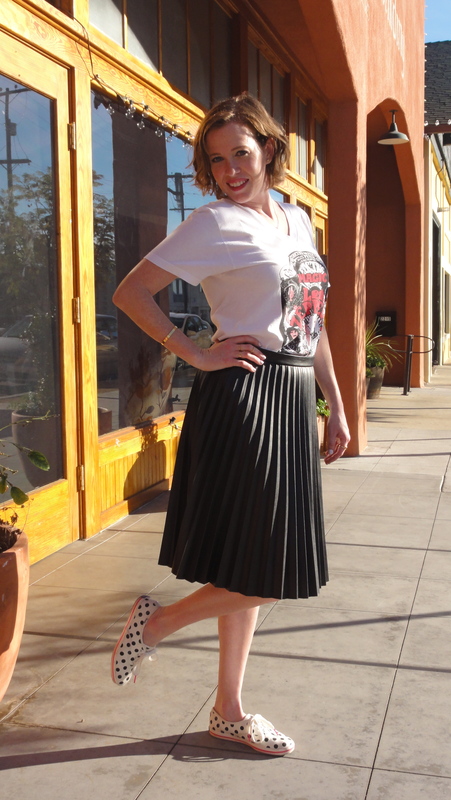 I just recently purchased a leather skirt and can’t wait to wear mines! I love that yours is pleated! Thank you Jas! 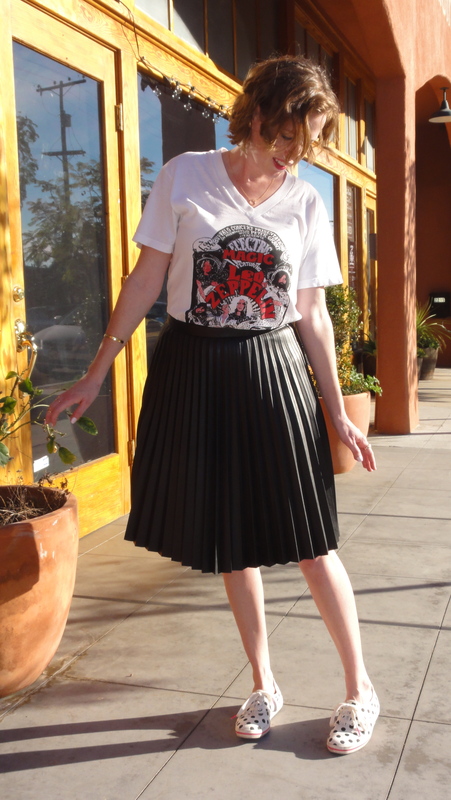 I can’t wait to see how you style your leather skirt! They’re so versatile! wow!!! beautiful skirt, and we love how you styled it more casual cool!